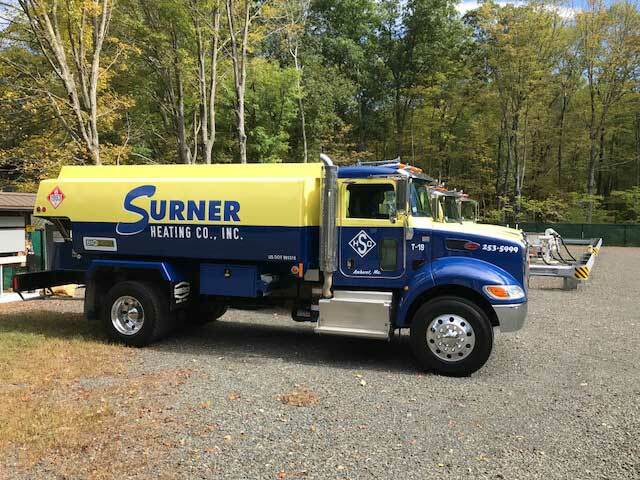 Surner Heating provides either call in or automatic oil deliveries. With automatic delivery service you don’t have to worry about running out of oil. Our degree day system keeps track of how much oil you have and automatically schedules deliveries for you. If you are interested in automatic deliveries please call. In addition we also offer 24-hour emergency delivery services. If you do run out at any time just one call to us and we will dispatch a truck as soon as possible. This form is for existing and new customers. Existing customers only: please enter your account number. Please allow 3 or more days for scheduled deliveries.